Looking for more than picnics and swimming-pool openings? Here’s where to start. 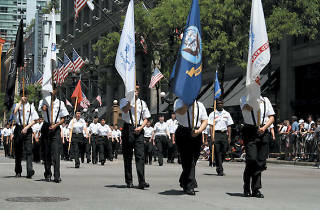 CIA director David H. Petraeus leads this year’s parade, which includes veterans’ groups, high-school marching bands, military members and a horn performance of taps by Bugles Across America. 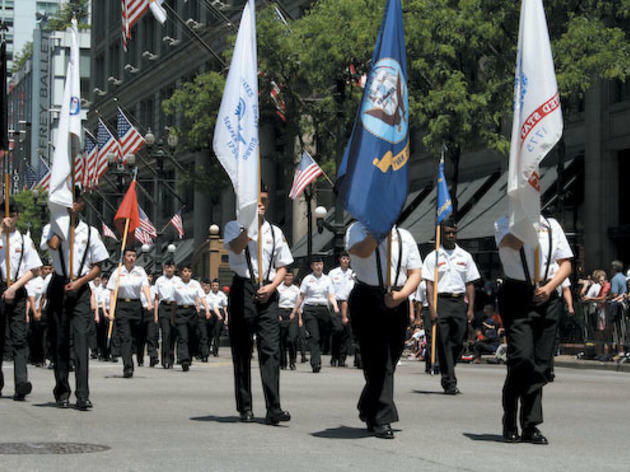 Festivities kick off at 11am with a wreath-laying ceremony in Daley Plaza. State St from Lake St to Van Buren St (312-744-3315). Sat 26 at noon; free. On Saturday, this nonprofit offers free admission for the unveiling of a new mural by National Guard vet Dominic Fredianelli, also the subject of the 2011 documentary Where Soldiers Come From. Screening at 1pm, the film follows Fredianelli over the course of four years, from his daily life in Michigan to his nine-month tour of duty in Afghanistan to his return home as a civilian. 1801 S Indiana Ave (312-326-0270). Sat 26, 10am–5pm; free. Stake out a spot on the lawn of Col. Robert R. McCormick’s former estate—named after Cantigny, the French village where he commanded an artillery battalion in WWI. At 3pm, a Dixieland jazz band performs patriotic tunes and standards like “Basin Street Blues” and “Muskrat Ramble.” The First Infantry Museum and the McCormick Museum stay open until 5pm. 1S151 Winfield Rd, Wheaton (630-668-5161). Mon 28, 10am–5pm; $5 parking. Screening at this Saturday matinee, the 2012 documentary Forgotten Soldiers combines original footage, reenacted scenes and interviews with surviving World War II vets of the U.S. Army’s Philippine Scouts. 104 S Michigan Ave (312-374-9333). Sat 26 at 1pm; free with $5 admission.